Active Citizenship Network celebrated the 12th European Patients’ Rights Day with a conference, held on the 23rd May 2018 in the European Parliament in Brussels. The event was an occasion to foster communication among different partners/actors in the healing and caring process to improve adherence to treatments and take commitments to increase the respect of patients’ rights and their involvement as fundamental active partners with health professionals in their own care, respecting the fundamental values recognised by the European Charter of Patients’ Rights. Active Citizenship Network has devoted the 10th edition of the European Patients’ Rights Day to the issue of “Reducing waste and inefficiency in the Healthcare Systems, increasing quality of patient care”. The European multi­-stakeholder conference has been held on the 4th of May 2016 at the European Parliament in Brussels with the aims to increase the culture of common goods and the fight of each form of waste, fostering the cooperation among different stakeholders - either public or private, civic and institutional - to find useful solutions. Read more! 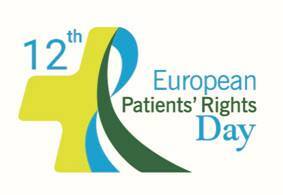 Active Citizenship Network will celebrate the 11th European Patients’ Rights Day with a multi-stakeholder conference, to be held on 10 May 2017 in Brussels. 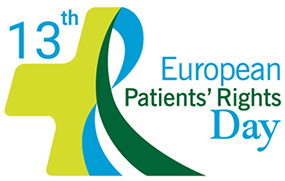 SUPPORT THE EUROPEAN PATIENTS’ RIGHTS DAY!